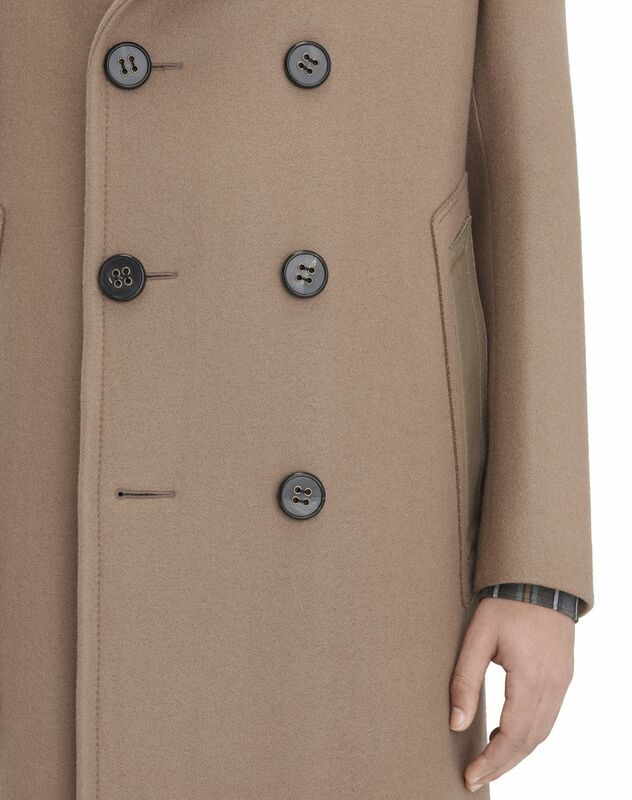 Mid-length coat in compact beige felt, oversized tailored collar, double-breasted double button closure with horn buttons, side pockets, tone-on-tone topstitching, and trompe l’oeil “storm flap” effect shoulder inset. 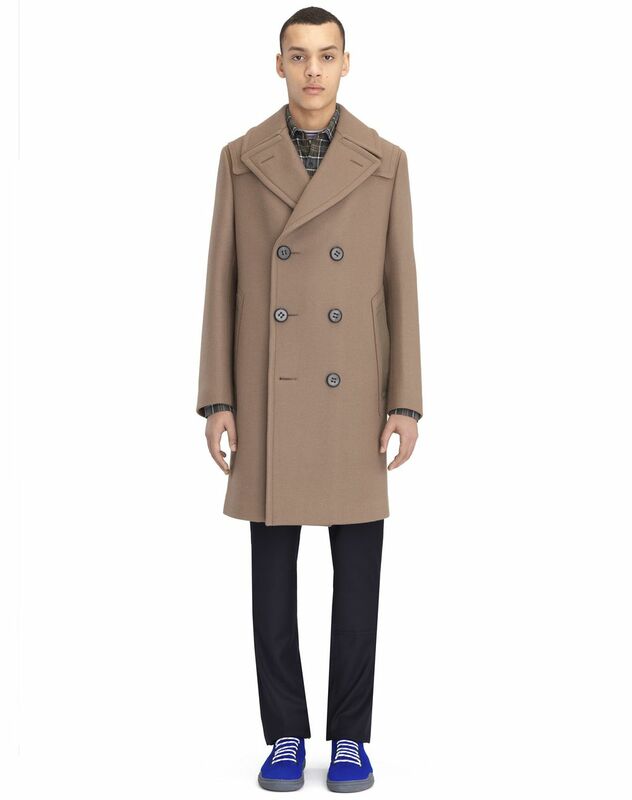 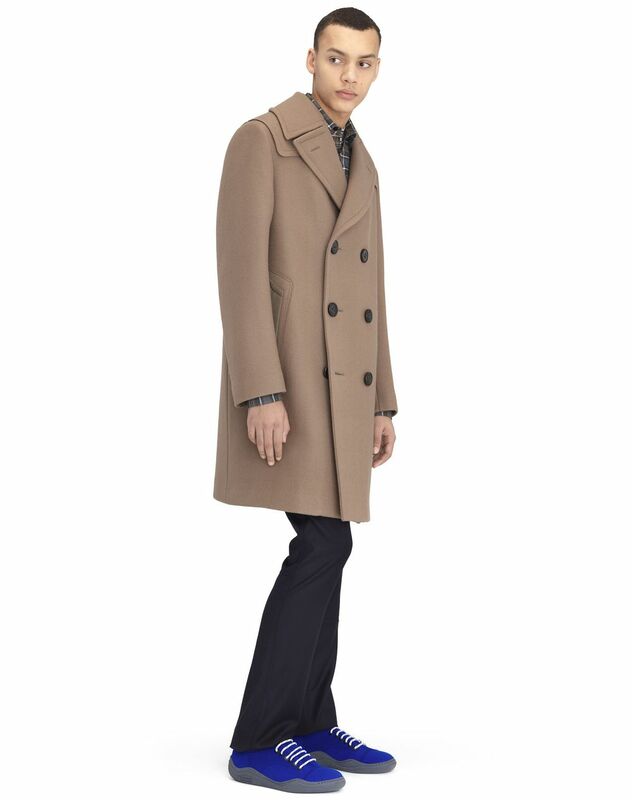 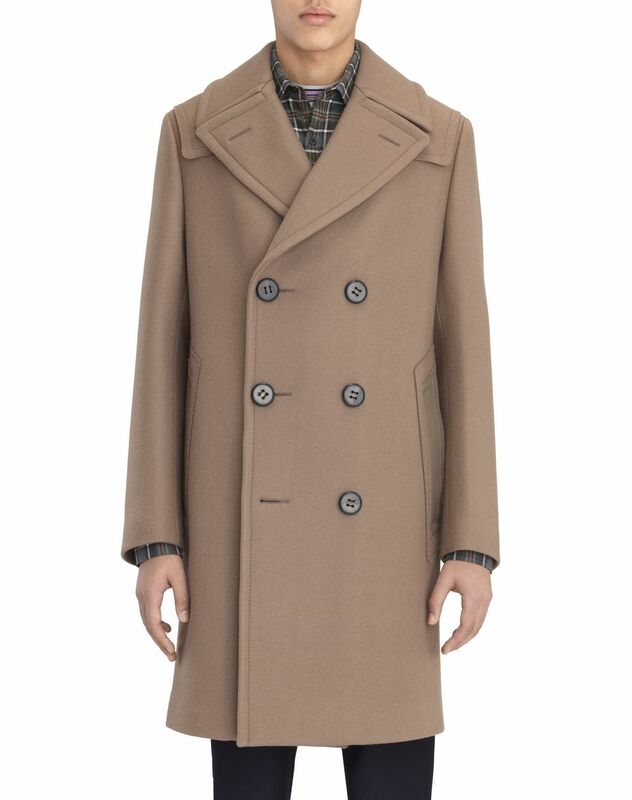 A winter essential, Lanvin presents this mid-length coat with a twist, an absolute must-have for any male wardrobe. 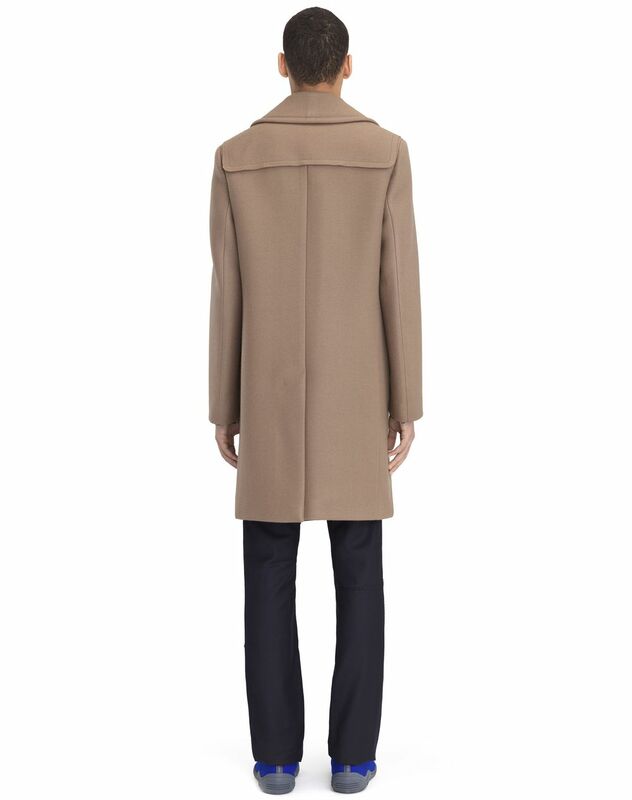 Perfect for everyday wear, sleek lines are counterbalanced by subtle signatures, for chic, contemporary flair.